The U.S. peanut industry donated more than 30,000 jars of peanut butter to Capital Area Food Bank in Washington, D.C. on National Ag Day, March 21, 2017. The Capital Area Food Bank is the largest organization in the Washington metro area working to solve hunger and its companion problems: chronic undernutrition, heart disease, and obesity. 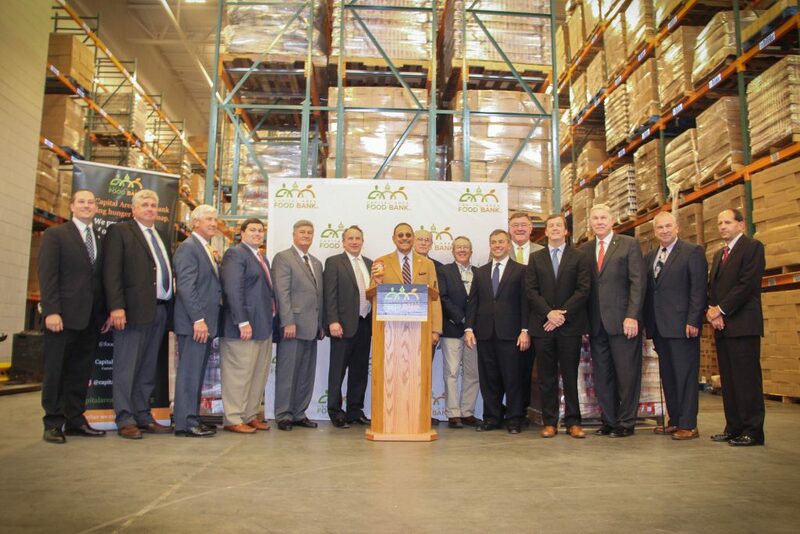 The donation was made possible by the partners of the Southern Peanut Farmers Federation, which includes Alabama Peanut Producers Association, Florida Peanut Producers Association, Georgia Peanut Commission and Mississippi Peanut Growers Association. Congressman Sanford D. Bishop, Jr., representative of Georgia’s second congressional district, joined the Federation members during the donation. By partnering with 444 community organizations in D.C., Maryland and Virginia, as well as delivering food directly into hard to reach areas, the CAFB is helping 540,000 people each year get access to good, healthy food. network of partner nonprofits each year. “Peanut butter is one of the hardest items to keep on our shelves because it’s protein-packed, kid-friendly, and in high demand from our partners,” said Jody Tick, chief operating officer at the food bank. “We’re thrilled for this donation, and 30,000 jars of peanut butter will go a long way towards helping children and families in our area get the food they need to live well”. The donation was also made in celebration of National Peanut Month in March and National Ag Day. One serving of peanuts is a good source of protein, vitamin E, niacin, folate, phosphorus and magnesium. Peanuts are naturally cholesterol-free and low in saturated fat. For additional details on the donation, visit the Southern Peanut Farmers Federation website at www.southernpeanutfarmers.org.